Many of you will be familiar with Monocle — the magazine launched by Tyler Brûlé in 2007 as a monthly title covering global affairs, business, culture, and design. 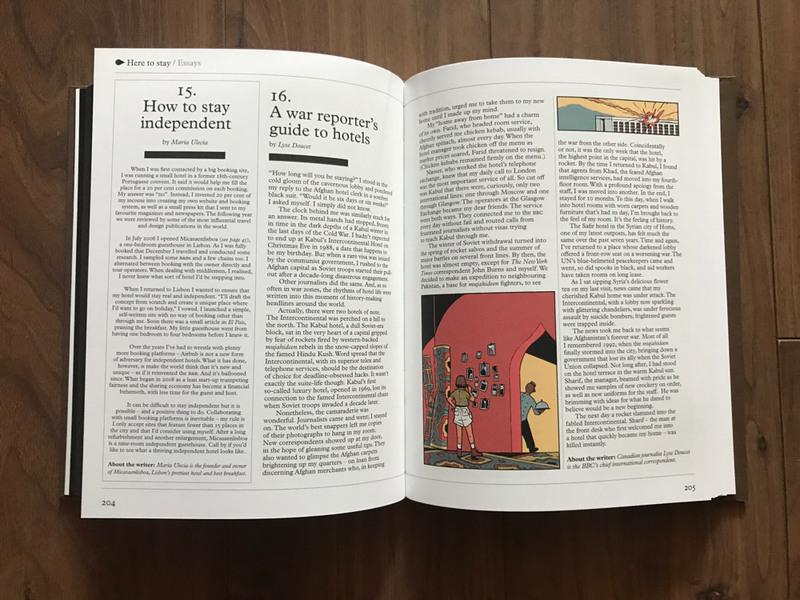 Since launching Monocle has branched out into radio, multiple travel and home-related products, and in recent years a series of travel, business, and lifestyle books in association with Gestalten. 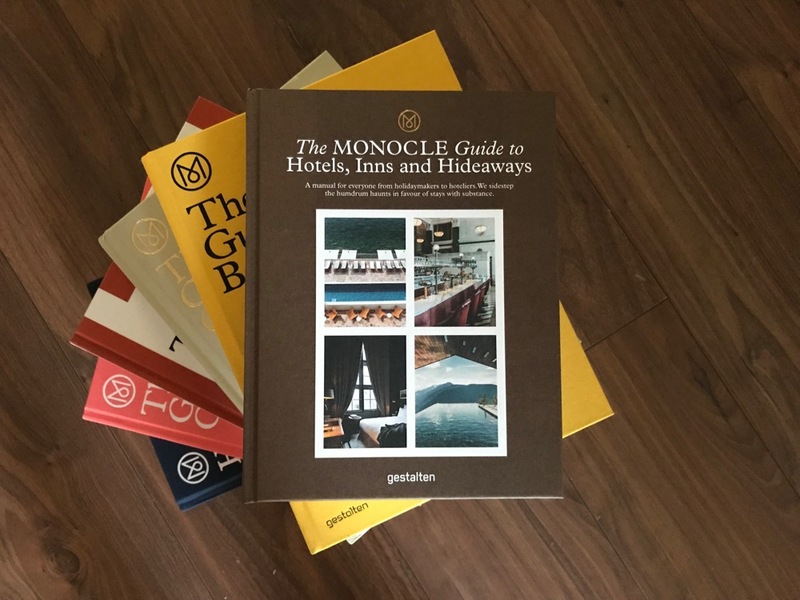 Released in June (Europe) and July (International) 2018 The Monocle Guide to Hotels, Inns & Hideaways is the sixth publication in their large format series. However, the first thing you notice when cracking the spine is a new size. 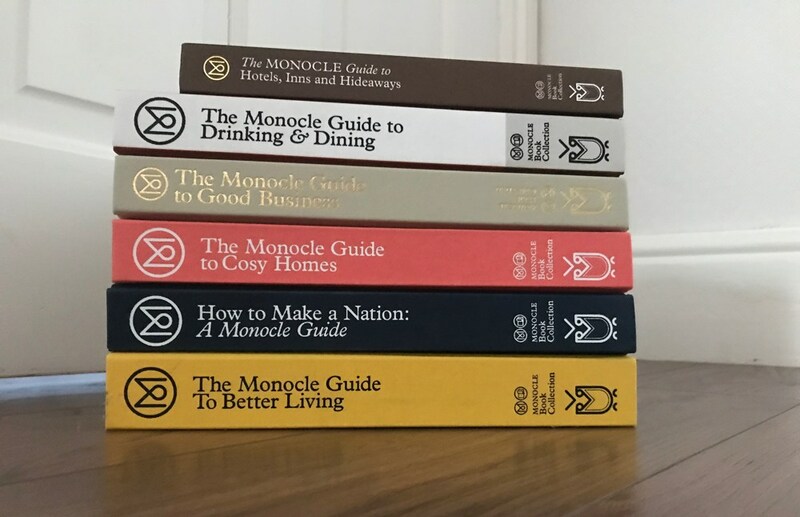 If you, like me, own any of the other Gestalten published “Monocle Guide to …” titles you’d have probably been expecting a larger format coffee table book. The new Mezzanine format is slightly smaller and as a result much easier to hold and read. As someone who occasionally gets to stay in a nice hotel or two this book very much appeals. However, beyond the comprehensive list of hotels the sections on the business aspects of being a hotelier, hotel architecture through the ages, (in)famous hotel restaurants and bars, the historical importance of hotels, and the people who have made a hotel their home make this guide much more than a traditional list of places to stay. The cover bills the book as “a manual for everyone from holidaymakers to hoteliers” and they start as they mean to go on with their top 100 places to stay around the world. Featuring picks for city lovers, sun worshippers, those in search of a rural retreat and finally fitness-focused locations the reviews are short, useful and accompanied by unique photography from each location. 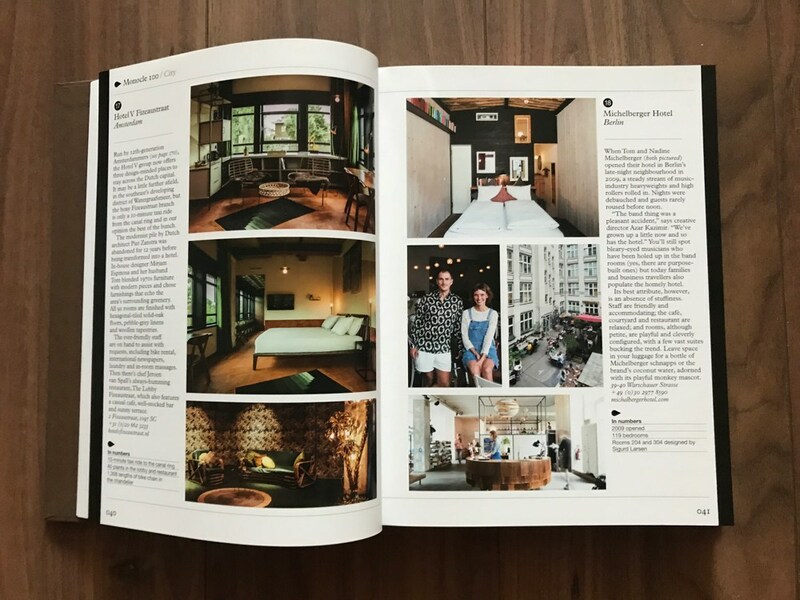 Check out page 41 for a review of Berlin’s Michelberger Hotel (the only place on the list I have been lucky enough to stay at). It’s worth saying that if you’re on the lookout for a cheap daily rate then I’d advocate that this guide isn’t for you. The choices clearly reflect the Monocle demographic but if you are familiar with the magazine, and buy into the Monocle “way of life”, it’s perfect. Given the amount of travel Monocle correspondents undertake each year I imagine this was a hard list to compile but you get the distinct impression that someone on the team has stayed at each location adding a personal touch to the recommendations. Part two caters to the entrepreneurial voyeurs amongst us and takes us behind the scenes of successful hotels. This beautifully illustrated section opens with Monocle’s perfect hotel (soon to be available as a wall print?) and follows with 50 elements that make for a great hotel, a guide to the perfect team, interviews with unusual and interesting hoteliers, and finally ends with a section on the world’s leading hotel schools and management schemes. 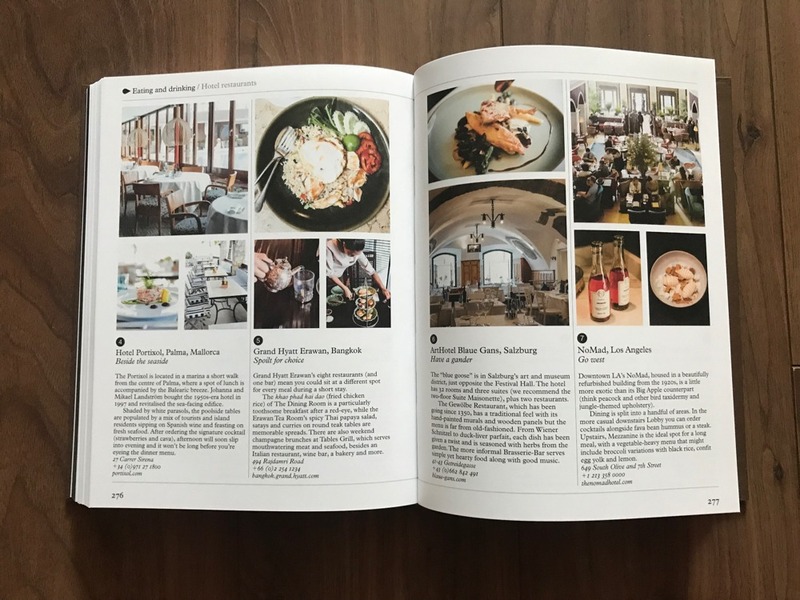 Monocle often feature hospitality executives and insiders in their magazine and this second section is rich with insights and ideas should you ever want to venture into this highly competitive industry. In “Here to Stay” we read essays from lives lived, loved, and nurtured in hotels as well as odes to a great bar, the importance of a concierge and rules of the Janapnese ryokan (traditional inn). I particularly enjoyed the essay on staying independent by the founder and owner of Lisbon’s Micasaenlisboa Maria Ulecia. Instead of giving up 20% of her revenue to booking apps she instead invested 20% of her profits into her own website and press kit. Within a year she was reviewed by some of the most influential publications in the industry and has stuck to her guns and is growing slowly while staying true to her mission. Finally, the section ends with a look at the “nine lives of the hotel”. This includes a look at how some of the worlds most infamous characters have used hotels as hideouts with mentions of Al Capone, Albert Rothstein, Ned Kelly and Bonnie and Clyde to name a few. I’ll be honest, I don’t often dine in hotel restaurants as I often prefer to sniff out a local eatery or diner — especially in big cities where there are much better, and often cheaper, options. However, that would probably not be the case if I was booked into any of the residences mentioned in the final section of the book. Featuring 25 hotel restaurants and a further 25 hotel bars this global round up of the best places to eat and drink isn’t short of spectacular plates and enviable cocktails. As with all things Monocle this guide is very aspirational. I’d argue it’s not for everyone but if you occasionally like to splash out on a couple of rather pricey nights then it’s definitely worth the investment. 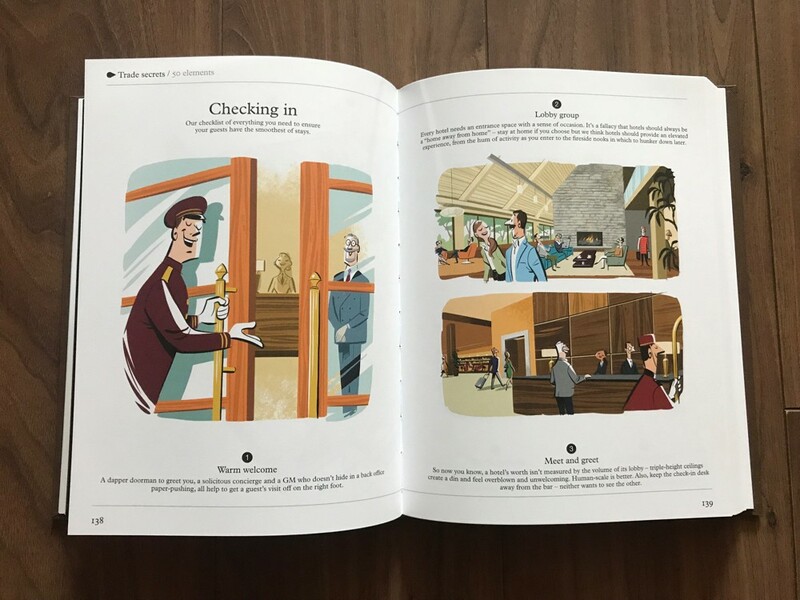 It’s beautifully produced, has great photography and illustrations and is packed with genuinely useful information and insights from the world of hotels. You can order the book online for €35/£35/$50 at The Monocle Online Store, for €35 via the Gestalten store, or pick up a copy in leading bookshops. Many thanks to Gestalten who kindly provided me with a review copy of the book.